Consensus Capital Group’s investment in Groupvest continue to perform well with residential property developments. Groupvest matches high net worth investors with independent property developers who require capital investment. Two new Groupvest developments are in progress: 1: Hartfield Road, Wimbledon is a residential development of 6 new build flats. The architectural style is in-keeping with the adjoining terraced street scene and internally the flats are contemporary in style. All of the flats have been pre-sold to a private investor and the project is due for completion 2018. 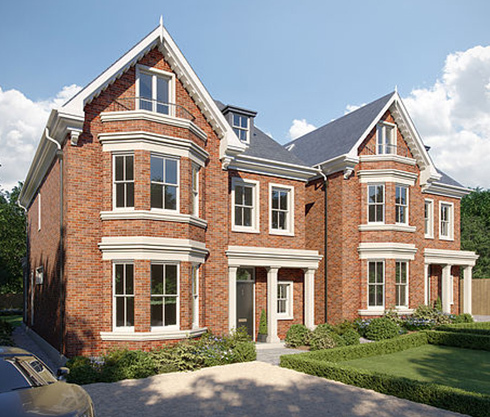 2: Copse Hill, Wimbledon is a development of two new build detached family homes in a prime residential area. The houses have been designed with traditional brick exterior and contemporary open plan interiors. The project will be due for completion in Summer 2018.